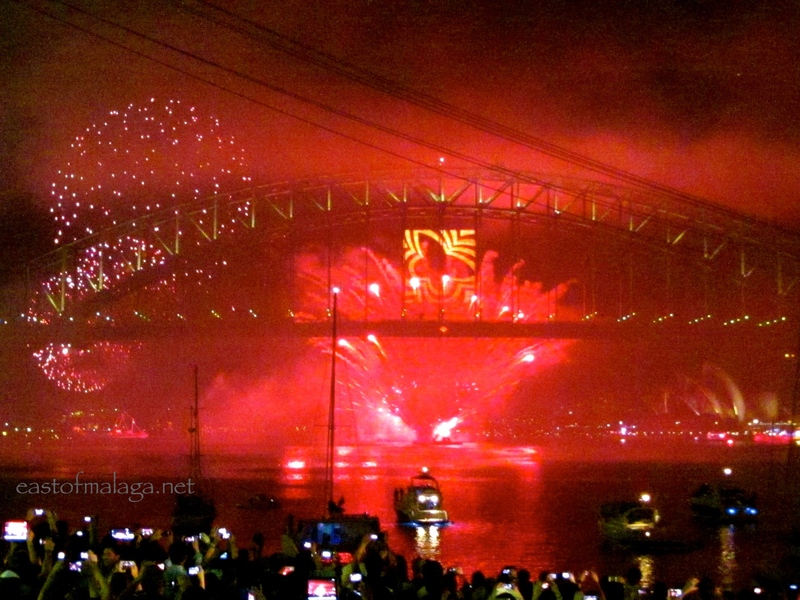 JANUARY: I kicked off the year by fulfilling one of my long awaited “Bucket List” dreams – to see the New Year fireworks over Sydney Harbour, Australia! If you want to see what I saw, click HERE! FEBRUARY: By now, I had moved on to New Zealand. This is the view from Mt. 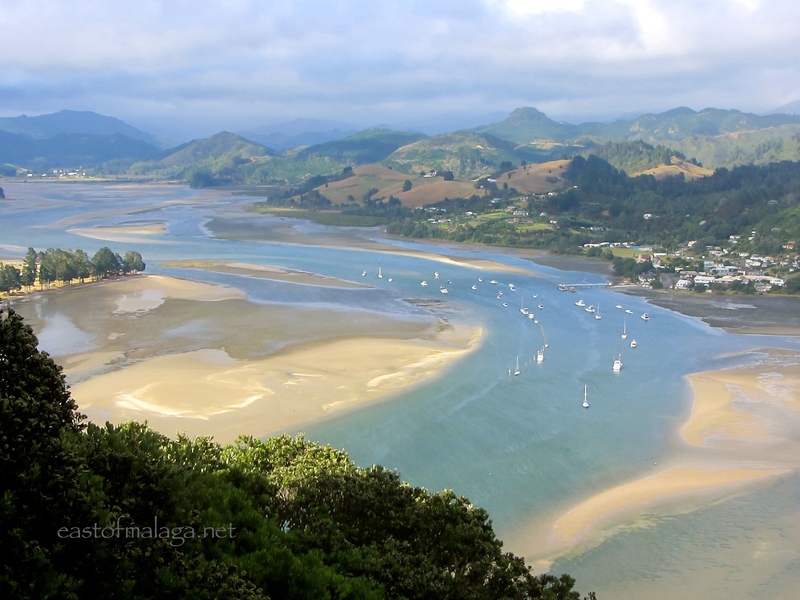 Paku, a twin-coned volcanic peak dominating the head of Tairua Harbour on the east coast of the Coromandel peninsula, New Zealand. See what I saw by clicking HERE. 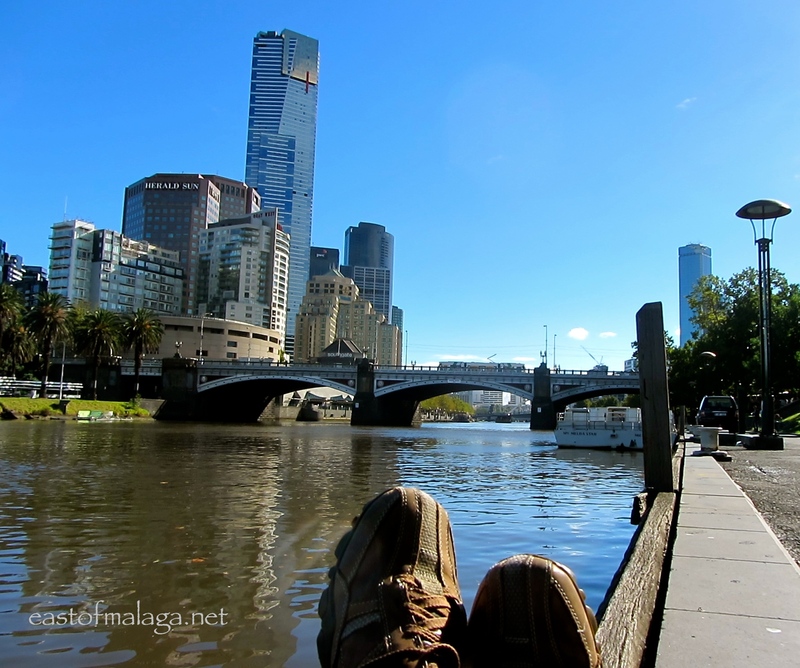 MARCH: If you had been in my shoes, you would have been in Melbourne, Australia, sitting by the Yarra River. I was there for the opening race of the Formula One motor-racing season – well I am a petrol-head! Join me for a look around beautiful Melbourne, HERE. 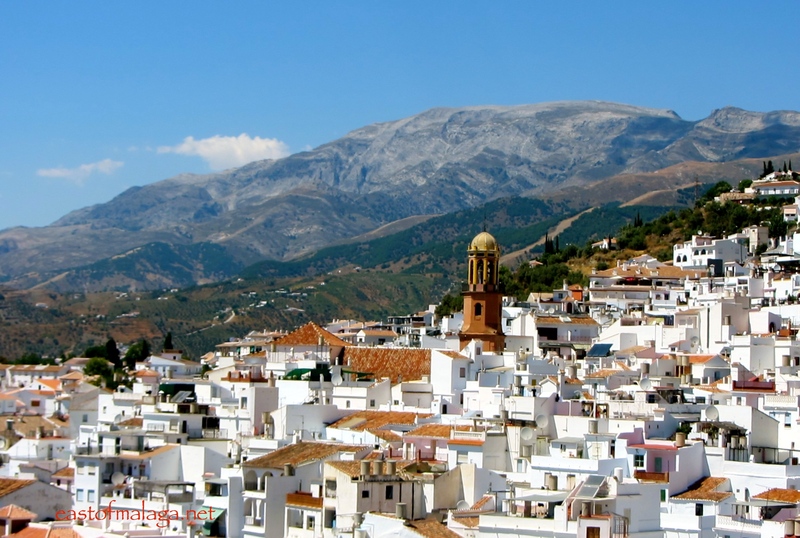 APRIL: Time to head home to the white, mountain village of Cómpeta, east of Málaga. Behind the village you can see the highest mountain in this part of the world, Mount Maroma. Let me show you around the village, HERE. 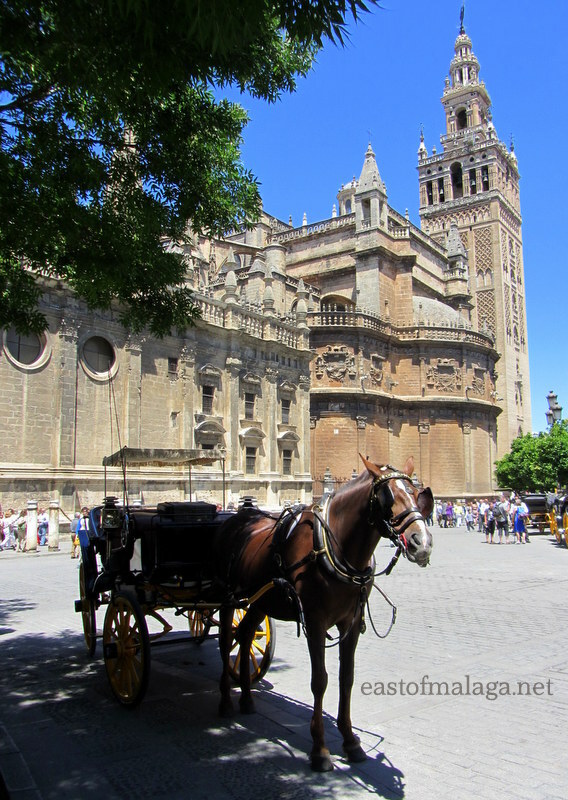 MAY: My birthday treat was a few days away in Seville, the fourth largest city in Spain and capital of Andalucía. Seville is well known for religious festivals, flamenco, world-class tapas and sherry drinking, but did you know that the tomb of Christopher Columbus is inside Seville Cathedral? See the city for yourself, HERE. 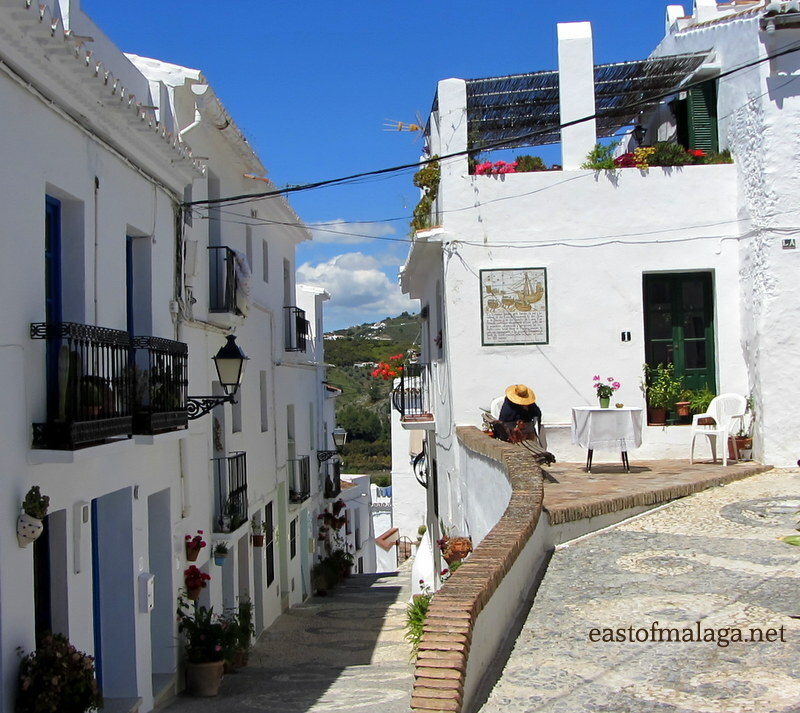 JUNE: Whenever we have visitors come to stay, I always take them to the pretty, white village of Frigiliana. If you watch THIS VIDEO of the village, you can practice your Spanish, too! JULY: Situated in Jaen province, Andalucía and crammed full of Renaissance architecture, the towns of Baeza and Úbeda celebrated the 10th anniversary of being granted UNESCO World Heritage status. The towns offered a special accommodation deal over a ten day period of only 10 euros per person each night. How could I resist?! To see what you missed, look HERE. 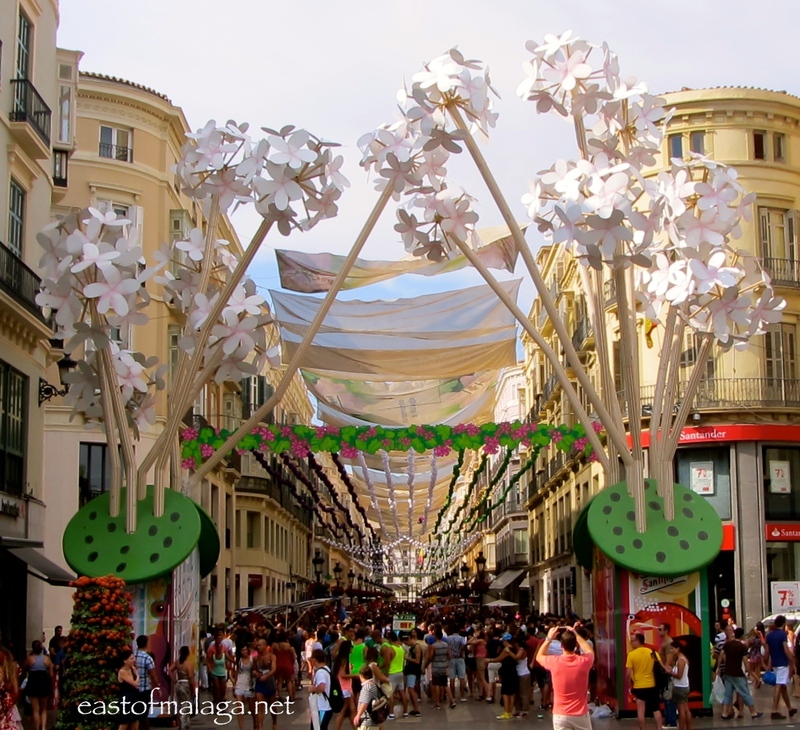 AUGUST: This is the month of the Málaga Fair – and OH BOY – the city sure knows how to party! In the above photo you can see the elegant pedestrianised shopping street of Calle Marqués de Larios transformed into a huge party venue, full of people dressed up, dancing and having fun! Watch the video and join in the fun HERE. SEPTEMBER: A trip to the nearby town of Nerja happens every month, and it’s always a pleasure to stroll along the scenic promenade adorned with palm trees and exotic plants to the Balcón de Europa. Indeed, in a few days I will be seeing in the New Year 2014 in this very place. 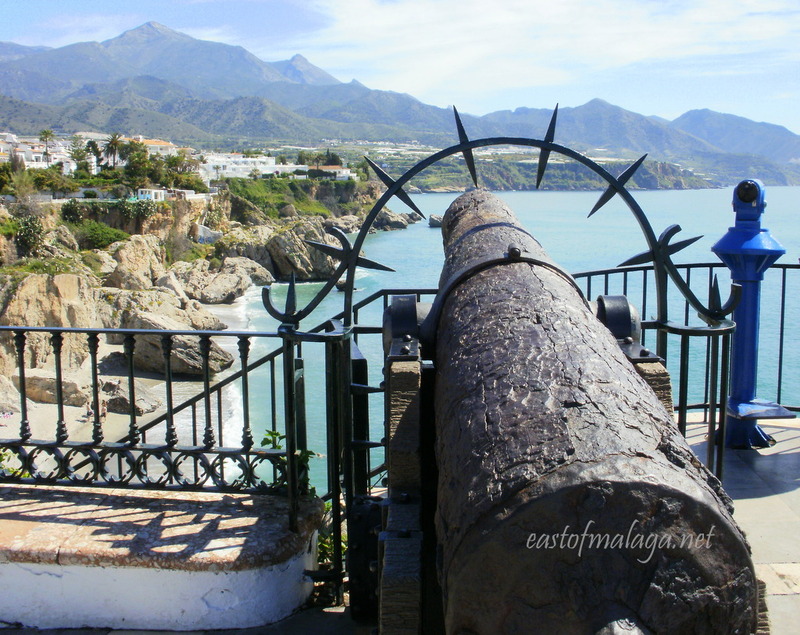 If you want to see more of Nerja, click HERE. OCTOBER: Porto, the vineyards of the Douro Valley and Lisbon, Portugal were my destinations in October. Even though the weather was showery for most of the time, there were plenty of places to get out of the way and enjoy the cakes! 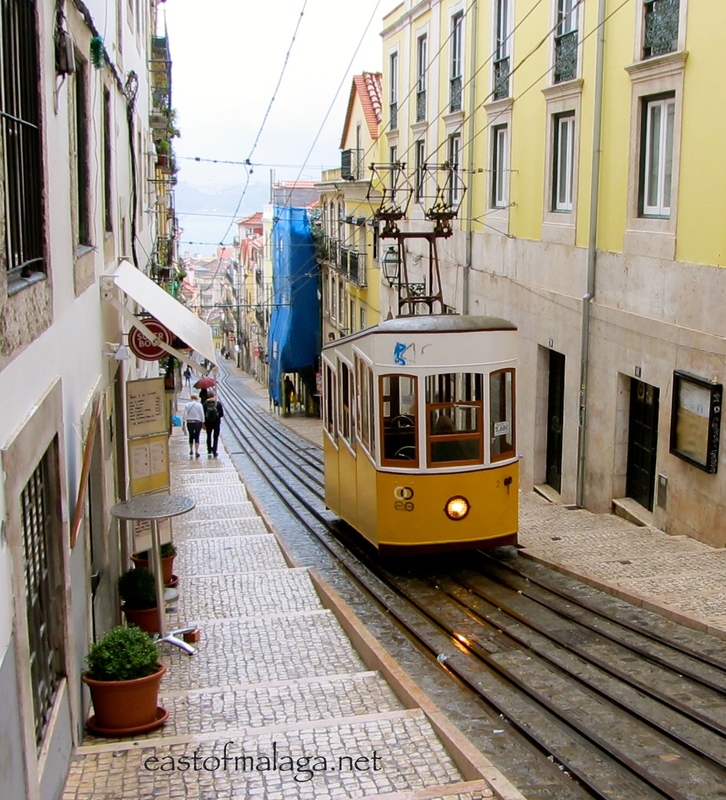 Here you can see one of the iconic Lisbon trams. There’s an introduction to Portugal, HERE. 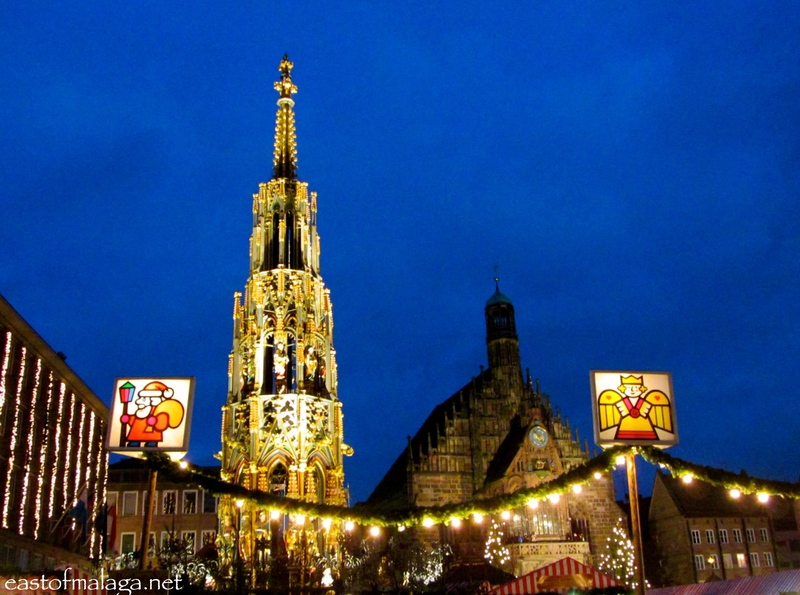 NOVEMBER: At the end of the month, I began a 16 day trip to the German Christmas markets (another Bucket List dream) as well as to Prague in the Czech Republic and Budapest, Hungary. First stop was Nuremberg for the Christkindlesmarkt, the oldest of the German Christmas markets. If you’d like a stroll around the market with me, click HERE. 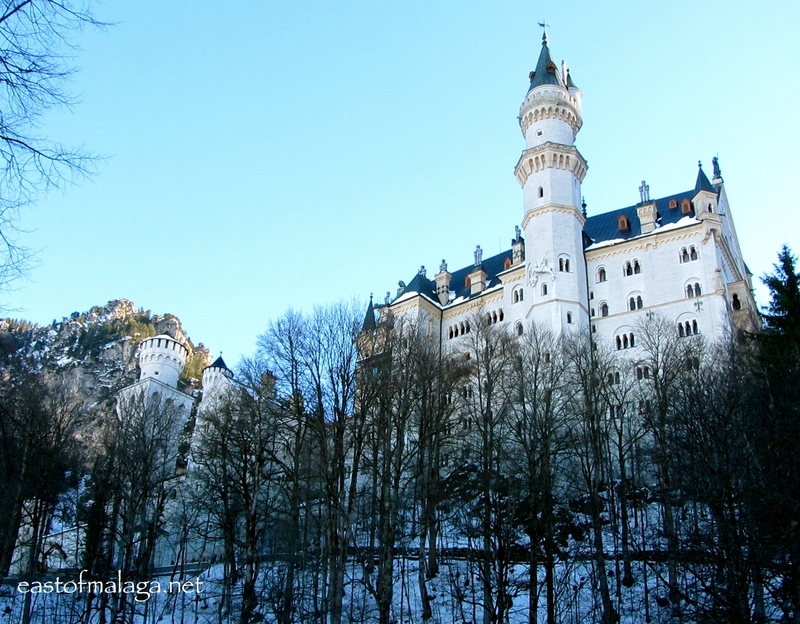 DECEMBER: My final destination of the year allowed me to cross off my third Bucket List item this year – Neuschwanstein Castle in Bavaria, Germany. As the train from Munich got nearer to Fussen, snow began to appear – making for a picture-perfect scene. I couldn’t have wished for a more wonderful day! I hope you will join me HERE to learn more about the structure on which Walt Disney modelled his fairy-tale castle. Where have you been this year? Where are you hoping to go in 2014? Do you have a “Bucket List”? This entry was tagged Andalucía, Australia, Europe, Germany, lifestyle, Malaga, Nerja, New Zealand, photography, Portugal, Seville, Spain, travel. Bookmark the permalink. What a wonderful year of travel you had. And great photos. I want to see it all. Your neck of the woods is still on my Bucket List! One day …. Your colors are just stunning Marianne! What a fab post! Happy New Year to you and yours, Marianne! What gorgeous pictures and you must have such wonderful memories. Happy New Year Marianne! Glad you enjoyed my post – I certainly had fun putting it together. I’m looking forward to the fireworks and huge party in Nerja tomorrow evening. You lucky, lucky lady – I need to catch up with you on my travels as the German markets and Bavaria (apart from Munich) are stil unknown to me! Marianne, wow, what a fantastic year you’ve had. And you take beautiful photos. A great year of travelling for me, Josh, yes! Look forward to seeing even more of what you’ve been up to …. Happy New Year travels, Christine! What a great year – I look forward to following you in 2014! Thanks Marianne. I am certain that you will enjoy Iceland, I went there last month and have some posts coming up about it soon. And we got to see the Northern Lights – wonderful! OOHHHH now THAT IS lucky! Were you able to get any photos? I’ve heard it’s difficult. Hey – I’m encouraged 🙂 Thanks! Wow what a year to have travelled so much. How lucky are you? All the best to you in 2014. Looking forward to seeing more wonderful photos of what you do next. Yes, I am fortunate – but, although I think there may be an element of luck involved, I believe people make their own “luck” by organising their lives how they wish, according to their means, health, circumstances, etc. If there is something I want to do, but can’t think how to achieve it, then I always look “outside the box” to try to figure a way to do it. Thanks for your lovely comment, Diana – always much appreciated. Yes very true… You gotta get out there to make it happen. Enjoy the Northern Lights!! Happy New Year – more adventures coming your way, I see!! What a wonderful quote and, of course, a great way to look at each new year (or day, for that matter). Happy New Year!!! 🙂 You are a joy to follow! Gorgeous photography! And WHAT A YEAR! I hope 2014 is just as wonderfully brilliant & bright as 2013 had been. Happy New Year! Yes, it’s been a great year, Tahira. Thanks. WOW! you sure did do a lot of travelling! oh to be retired and travel about Spain…or wherever. come on 2020! or 2019 (if I can’t wait until 2020…) and yep, I do know that Christopher Columbus’ tomb is in Sevilla’s catedral. you mean there are people that don’t know that? 😉 I need to go watch that video and practicar mi espanol 😉 here’s to another great year of travelling (for you) and living vicariously (for me) through your lovely, fabulous photos. These days, I plan my life around travel, Toby! Often it’s just a day trip (like today into Malaga city for the Belénes, ice-skating rink, and Christmas lights) or a free walk around the street art in the city. I have that same tram photo 🙂 Well, taken in the same spot. Posting it next week! Had no idea that Columbus was buried in Sevilla. I’ll bet you do! Hope you had less rain than we had in Lisbon – it poured down almost all the time! Oh, we had rain! Two days solid, and spitting on two more. Two days of blazing sunshine, at least! Saving this for a more in depth read. What a year! I feel a flamenco coming on, Marianne! That was a year and a half 🙂 How are you going to compete with that in 2014? I’m sure you’ll enjoy trying. Well, first of all, I’m going to challenge everyone to take more trips in 2014 (be that for just a few days or hours – internationally, locally or merely around the corner). More about that soon. You’re heading to the Algarve in a few days, aren’t you, Jo? Wow! You travel a lot! And wow, this post must have taken ages to put together. I’ve looked at NZ, Melbourne and Germany. I’ll get to the others after breakfast. Thanks for encouraging us to travel, Marianne. I’ve really only introduced photos other than Spain in some of my CBBH posts photo challenge – but in truth, yes, I do travel quite a bit! What I do now is decide what I want to do – and then figure out how I’m going to achieve it! 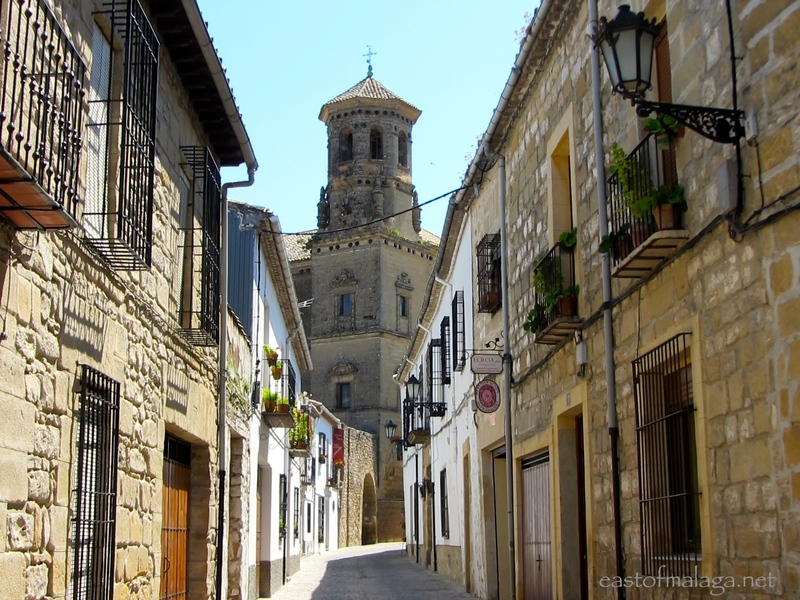 I’ve just looked at a few more of your videos – I’m really interested in the towns of Baeza and Úbeda. Thanks too for the hint about housesitting – I visited some friends in Canberra this week who are doing just that. For free! I’ll look into it. I suppose I travel a bit myself. This year I went to France, Spain and New Zealand. Spent all my money. Will have to save for another three years before I can go again. Can’t wait. I use an Australian website: http://www.housecarers.com – if that helps, and have found housesits in Australia and New Zealand through them. Don’t you think that planning a trip is half the fun though? I do! What an amazing year you have had! For me the past year included cycling in Slovenia, wandering abut Croatia, walking the beaches of Mexico, the west and east coast of Canada and a getaway to Arizona. Off the bucket list was ‘run a marathon’ which happened a few weeks ago in California. Next year…Jamaica and cycling in Tuscany Italy are on the list. Here’s to 2014! That’s fantastic! WOW – you’ve run a marathon – well done! Did you run to raise money or charity? I picked up a cruise from Jamaica a few years ago – it’s a very pretty place – as is Tuscany. I have done quite a bit of fundraising with running in other shorter races but this one was just pure bucket list material. I will say it was one of the hardest thing I have ever done. Looking forward to swapping experiences in the year ahead! Ah yes – lucky you! Will you be catching the fireworks on New Year’s Eve, Meredith? You have had a great travel year ! I wish you to make a double ! Great blog and it’s inspired me to do my own! You have been warned!! Already pencilled in for Iceland in March (hopefully to see the Northern Lights) and back Down Under towards the end of 2014. Ok, I certainly will! I don’t know if I’ll be able to travel much this year, but I’ll definitely look forward to the challenge!